It has to be more than a snap shot to get the attention of any casting director. Head shots are all about connecting with the client in a way that brings out that person’s character and uniqueness. The above comp was photographed this week in the studio and is a pretty good example of what I’m talking about. Peter Hurley says it best when he says “Shebang” after seeing that special moment come across his viewfinder. Jay Maisel calls this Gesture. The ability to bring out personality comes with loads of practice and lots of trial and error. Some people like Hurley use funny directions. Others have their own way of connecting with the real person in front of the camera. Here are a few tips. 1. Make the subject feel comfortable. There is nothing more horrible than having a strange person yell smile at you and expect you to react in a meaningful way. Bring out real expressions with real life dialog and direction. I start off by suggesting the subject make a funny face. The real expression comes after the person reacts to his or her antics. 2. Make the subject believe they look amazing in their photos. Many people have a lousy self image and it is the photographers job to show how great they look. 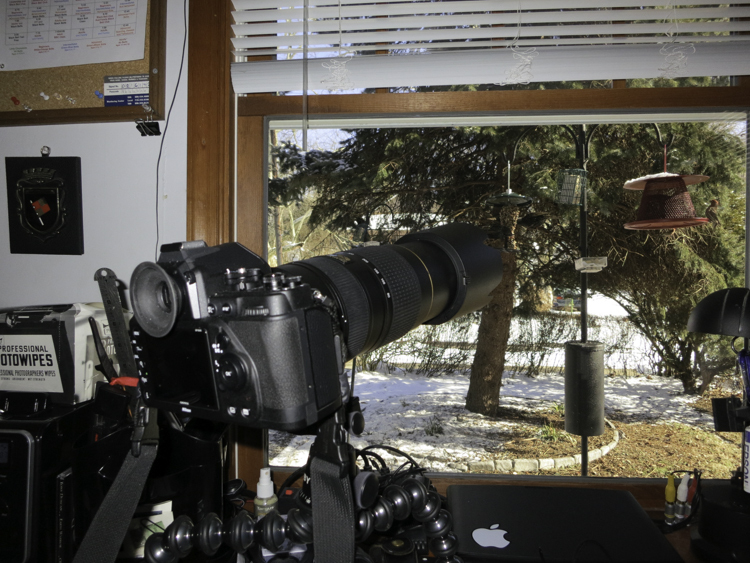 I try to shoot tethered to a lab top so the subject can get a sensed of what their photo will look like. 3. Keep changing the pose so that the subject doesn’t get bored. Nothing worse that firing off a dozen frames and having nothing different to show for it. 4. Be friendly and honest. Nothing ruins a personality session like a phony photographer. Be real. 5. Have fun. This will be good for you and for your client and will result in some pretty great photography. 6 Above all have your equipment and lighting set and ready to go. Batteries charged, light readings made and camera set and ready to shoot. A sure way to ruin a photo session is to have a light malfunction or camera not work properly. Rear Button Focus and Why you should use it. Rear button focus was never an issue before auto focus digital cameras came along. If we wanted to focus a lens it was done by rotating the focusing ring on the lens. Once the lens was focused it would never change focus until the photographer re-focused the lens on a different area. Pretty simple. With the advent of the digital age things became a little more complicated. Modern digital camera adjust focus by holding the shutter release half way down. Each time you press the shutter release the lens is refocused. This is no longer the best way to do this. The lens in continually refocusing depending on where the focus spot is aimed. In order maintain sharp focus, the shutter release has to be held halfway down as the subject moves in the viewfinder. There is a better way. Modern digital cameras have the built in ability to use another button to exact focus. On the Nikon brand, this button is called AF On. Other manufactures use different lanes but they all do the same thing. Once enacted, the AF On button allows the lens to focus on a particular point and remains there until it is pressed again. This eliminates the need to ever go to manual focus as the rear button acts as if the lens is being manually focused. Once pressed the focus point remains the same until pressed again. Rear button focus allows instant repositioning of the subject in the viewfinder with no loss in focus due to parallax shift. Especially when using wide apertures. Rear button focus allows for easy use of continuous focus tracking by allowing that setting to be permanently chosen. Tracking happens by simply holding down the rear focus button. With the Nikon System the menu selection for rear button focus is in the Custom Settings area. Select auto focus and look for autofocus activation. Select AF On only and rear button focus is enabled. See detail photos below. Run from the Sun – Inclement weather photography primer. Another rainy day today. Rain and cloudy skies have been the norm of late. Many of us will pack away the camera and wait for the sunshine. This is a bad mistake since overcast skies and light rain makes for the best images one can ask for. The sky turns into a huge soft box creating soft shadows and lovely mid tones. The photos above were taken as a light rain fell from overcast skies during the last few days. Take advantage of inclement weather to provide interesting and unusual photographic opportunities. Go outside and get a little wet. There are multiple rain covers available to protect your gear or you can simply make your own using a plastic bag and rubber band. Shown below are examples of the commercial items as well as a homemade solution. They all work the same, allowing you to capture amazing photos during less than ideal weather conditions. These covers also provide excellent dust protection when shooting in blowing sand. So – When the sun goes in and the clouds come out – go outside and make amazing photographs. Sometimes I get distracted. Should have been preparing 2013 taxes and organizing my archive photos during a slow time in January but instead, I was staring out the window. Have a couple of bird feeders outside and watching the various wild birds flock to them has been an unexpected joy. Placed a 400mm lens on a gorilla pod on my desk and just shoot when I see a picture. Click Here to see video of what I have been seeing. Today is the American holiday Thanksgiving and I wish you all a day of peace and friendship surrounded by friends and family. I would like to think that every day is a day in which we can be thankful and not just today. 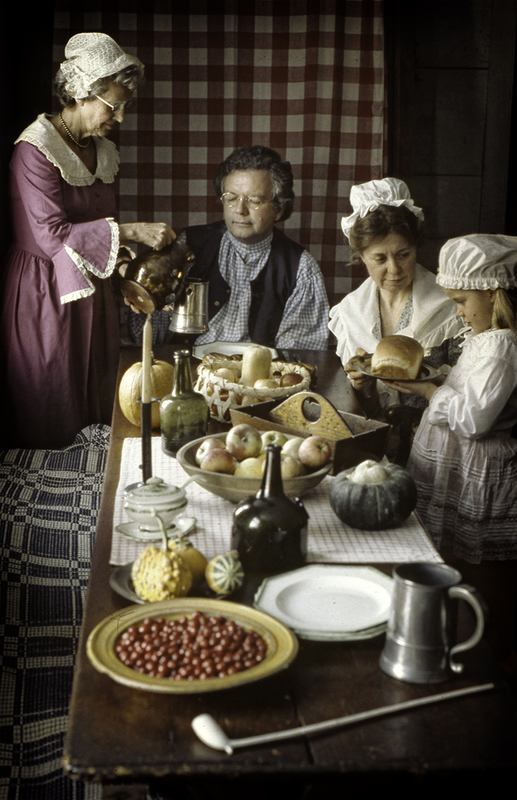 The photo is one take by me some thirty or more years ago for a cover for a story on traditional Thanksgiving Day celebrations.